When the people at Caketoppers got in touch to ask if I wanted to review their cupcakes with a personalised image on top, I was sold. I mean cake through the post, who can resist such a thing? The ordering process was really easy. I just had to send a favourite photo to them and voila. This was the result. When you order from the Caketoppers website, you get asked to upload your image when you add the product to your basket. You can upload any image file and black and white images work just as well as colour. Because of the personalised nature of these cakes, you really can use them for a multitude of occasions. You can celebrate anything. The thing I liked was that on opening the box, I was met with an image that always makes me smile. It was lovely to see, sitting on top of a cake. The only problem was that you almost feel guilty tucking into them. I received 2 cupcakes to try. One was chocolate and the other vanilla sponge. Considering they had been through the postal system, they arrived unscathed as you can see in the picture. They tasted delicious too, with a really soft sponge texture and the icing topper was really thick. The delivery was quick and you can choose where you want the cakes to be delivered, if you would like to surprise somebody. If you would like to find out more about Caketoppers cakes, you can do so here. At the moment, you can receive a 10% discount if you enter the following code TMY10 at checkout. * I was provided with 2 cupcakes for the purpose of this review. All opinions and thoughts are my own. 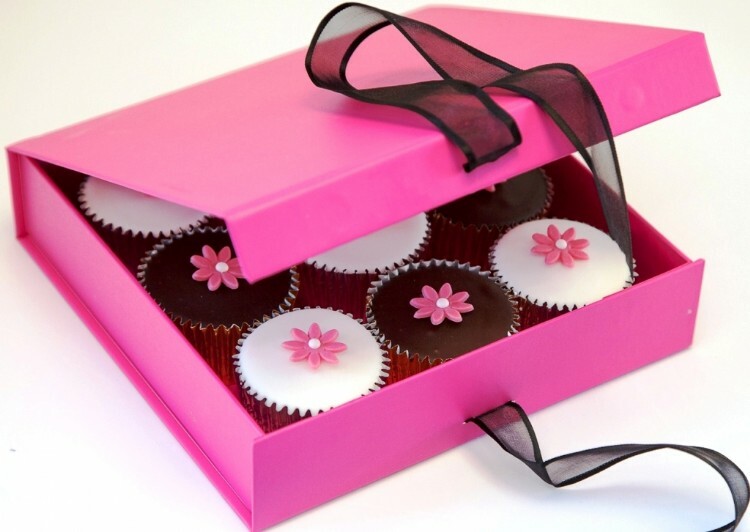 Would you like the chance to win a box of 9 flower cupcakes from Caketoppers? If the answer is yes, then read on.